It happened in Florida, as many such things do: a man was found passed out at a McDonald’s drive-thru after placing an order. The relationship between drunk driving and fast-food drive-thru windows is a long and sorry one, a phenomenon which has yet to be explored. When the police arrived, the driver, one Christopher Bidzinski, was eating his food. He stepped out of the car, stumbled, and told the cops that he was unlikely to pass a sobriety test. He was correct. The suspect admitted to drinking Chardonnay (Chardonnay, seriously?) and asked to be taken to jail. It’s hard to say what makes a DUI suspect want to do a cartwheel during a a sobriety test, but that’s alcohol for you. Its capacity for helping people make poor decisions is almost limitless. But that’s why drinking and driving is illegal: on the road, poor decisions and lack of coordination lead to disaster. At the roadside it’s just another dumb DUI story. No doubt when you think about this video you’ll think about the pratfall. But had the police not stopped the driver when they did, things might have ended differently. A wrong turn in a car at night can be a serious thing indeed. We have the crash statistics to prove it. Are you planning an evening for two this Valentine’s Day? Plenty of people are, and most of them have a good idea of how they’d like the evening to end up. That scene does not include a jail cell. 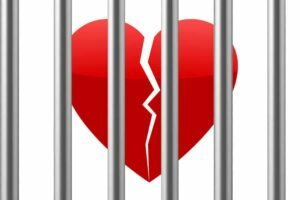 Nevertheless, a Valentine’s Day DUI arrest is more common than you’d think – it’s a night of celebration, and wine (and often champagne) are uncorked to slow down the moment and set the mood. But the planning that goes into a romantic evening often doesn’t include a safe ride home. Choose a restaurant within walking distance. If the weather is going to cooperate, make a romantic hand-in-hand walk part of the evening. Dine in. It doesn’t sound romantic, but it can be. Where did you put those candles anyway? Get dropped off. If you don’t drive to the restaurant, you can’t drive back. It’s all in the planning. Skip the wine. It sounds sacrilegious, but there’s no law saying that you have to drink just because it’s Valentine’s Day. Have an extra-decadent dessert instead, and finish the night with a clear head. The idea, after all, is to wake up the next day more in love than you were the night before. That’s hard to do when one of you is in jail, or facing large fines and a police record. So do some planning this Valentine’s Day, and a jail door will never come between you. 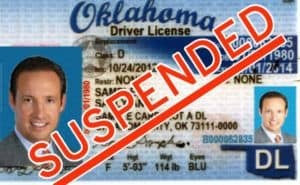 If you’ve followed Texas drunk driving laws over the past few years, you know that the state has really tried to address the growing problem of drunk drivers. They’ve struggled with losing ride sharing services in a major city, added ignition interlocks for all offenders, and attempted mass DWI checkpoints over the busy holiday season to arrest anyone who drives while intoxicated. The efforts put forth by lawmakers and police officers appear to be working overall, but one county in Texas is still proving to be a problem. Montgomery County logged more Texas drunk driving arrests during the 2017 holiday season than they did in the last two years. The holiday period, from November 22nd until New Year’s Day, saw 322 people arrested for DWI. The year before they only saw 233, and the year before that they saw 117. Why would a county see such a significant increase over a three-year period? For Montgomery County, it’s not that surprising. This county has been at the top of the list for Texas drunk driving arrests for several years, and DWI is the most popular offense in the area. According to one article, they generally log between 2,000 and 2,500 DWI cases every year. Police also believe that country roads play a factor. They’ve said that 74% of Montgomery County DWI crashes have happened in isolated or rural areas. No matter what the reason, there’s one sure way to stop a drunk driving offender from continuing to drive after he or she is convicted of DWI. 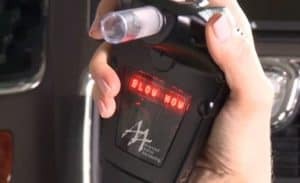 An ignition interlock—a device that requires an offender to blow an alcohol-free breath sample into it before the car will start, is required for all first-time offenders in every county in the state of Texas. If Texas drunk driving offenders install them as ordered, it stands to reason that trouble spots like Montgomery County should see a significant decrease in their drunk driving statistics. Now that they’ve got so many DWI offenders on the books, Montgomery County should focus on ignition interlocks to prevent them from driving drunk again. 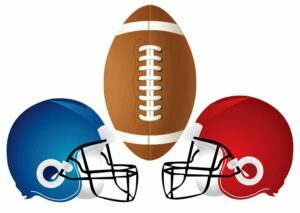 Super Bowl 52 is right around the corner, and while you’re worrying about whether or not your planned feast will be enough food for your sport-hungry friends, you should also take a few minutes to consider what’s on the horizon for Minnesota drunk drivers. Super Bowl 52 will be held in Twin Cities, and the Minnesota Department of Public Safety Office of Traffic Safety (DPS-OTS) is expecting a huge surge of Minnesota drunk drivers to hit the streets. Just like your favourite team will be coming up with a game plan, so is DPS-OTS. They’ve got a good reason to do so. According to data released from DPS-OTS, police arrested 2.656 Minnesota drunk drivers during the busy holiday season of 2017. That number is up from the 2,407 who were arrested during the same holiday period in 2016. Given that Super Bowl weekend is one of the busiest drunk driving weekends on the year, both police and DPS-OTS are concerned that Minnesota residents may make the wrong choice and get behind the wheel drunk. Part of the DPS-OTS game plan is to get residents to commit to always seeking a sober ride home. They’re running a commercial in the state that’s spreading awareness of how dangerous it is to drive drunk, and along with that commercial, they’d also like to remind residents to make your plans now for Super Bowl 52. If you schedule ahead for an Uber ride or ask a friend to remain sober that day, and you’ll never need to worry about what you might decide to do when you’re under the influence of alcohol or drugs. The most stressful part of Super Bowl should be that your nacho dip ran out prematurely. You don’t want to worry that you’ll drive drunk, get arrested, and spend half time in a jail cell, so follow the advice of DPS-OTS and stay safe this Super Bowl. Drunk driving arrests and crashes are often part of the daily news, and sometimes those stories are labeled ‘crazy’ or ‘dumb’ by the people who cover them. One recent story on local news site covered Minnesota drunk driving arrests, and according to the Minnesota Department of Public Safety, the following arrests are as dumb as it gets. A Minnesota drunk driver was arrested for DWI on Christmas Eve after she was found driving on the wrong side of the road. Just a week later, on New Year’s Eve, she was arrested for drunk driving again. Friends shouldn’t let friends drive drunk, but after one man was arrested for DWI, his passenger was arrested for DWI just hours later while driving the exact same car. You’d think if you were about to appear in front of a judge for a DWI arrest, you’d make it a point to be clean and sober. That wasn’t the case for one Minnesota drunk driving offender. He was arrested after he refused the breathalyzer. The next day, as he was about to appear in court, a breath test was taken and he had a blood alcohol content (BAC) of .24. That’s triple the legal limit of .08, and it’s baffling as to why he decided that was the condition he wanted to be in when he appeared in front of the judge. It sounds like Minnesota police have their hands full, especially during the holidays. When the Department of Public Safety shared these reports they also revealed that the number of Minnesota drunk driving arrests were up this year over the last. That could be because the state doesn’t require ignition interlocks for all offenders. An ignition interlock—a device that requires a convicted drunk driver to blow an alcohol-free breath sample before the engine will turn over, is only required in Minnesota for repeat offenders and first offenders with a BAC over .15. Not having a law to stop first offenders from becoming repeat offenders is a real problem, especially in a state where drunk drivers clog the roadways. Let’s hope this is the year Minnesota passes an all offender law. There’s a real need to curb drunk driving rates in this state, and when you require interlocks for all offenders, you can put a stop to many of these crazy drunk driving stories. Before New Mexico ignition interlock laws changed to include first time offenders, the state had a serious problem with drunk drivers. Since that law passed in 2005, the state has steadily cracked down on anyone who drives while intoxicated. 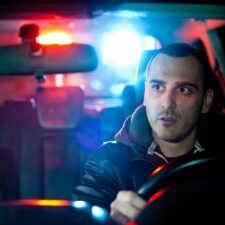 As a result of the New Mexico DWI changing for the better, public perception of drunk driving has changed too. New Mexico has created unique programs to promote public education on the dangers of drunk driving, and part of that public education includes high school students. That’s why the West Mesa High School students were taken to a performance facilitated in part by the Bernalillo County Metropolitan Court. The students, numbering in the hundreds, were witnesses to what happens when someone is arrested for New Mexico DWI. 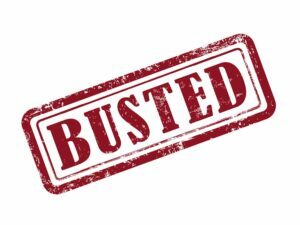 They were invited to listen to the West Mesa Performing Arts Center to watch a replicated court room in action as two DWI cases were presided over by the judge. The defendants were both two-time DWI offenders in New Mexico, and they were handed down sentences while the students watched. When that part of it was over, the defendants talked about how the crime has impacted their lives. One of the defendants detailed how he was just going to get pizza after a few drinks, and because of that poor choice he lost his car, his driver’s license, and had to pay thousands in fees, fines, and wages he lost because he missed work. He said if he could go back and make his decision all over again, he’d call Uber. Why would a high school show teens what happens in a DWI courtroom? According to organizers, it’s part education and part showing them what the future could bring if they decide to drink and drive too. No one wants to be arrested for New Mexico DWI, and maybe when these teens find themselves in the same situation, they’ll remember this experience and make the smart choice. Taking part in the Florida ignition interlock program is a requirement for a Florida DUI, but only if a few conditions are met. First offenders need to install one if they are arrested with a blood alcohol concentration (BAC) over .15, and second, third, and other repeat offenders must use the device for at least a year after conviction. When you are required to use an interlock, you can expect, as part of your Florida ignition interlock program, to stop driving after drinking any amount of alcohol. What you wouldn’t expect is that the very same device can also stop someone from stealing your car. Or, if it doesn’t stop that person, it can slow them down and record evidence too. Need an example? A 17-year-old from Hillsborough County, Florida was recently arrested after he stole a car outside of a McDonald’s restaurant recently. The owner of the car was standing outside of the restaurant and had left his car running nearby. The teen decided to jump into the car and drive away, and when he did the owner gave chase. The owner was dragged by the vehicle before he let go, and the teen took off. It was found abandoned the next morning, and although you’d think the teen got away free and clear, think again. Because of the Florida ignition interlock requirement, this teen was caught in the act. Ignition interlock devices are equipped with a camera that records the driver providing a breath sample. This teen had to blow into the device to start the car, and he was most likely required to blow into it again for a rolling retest. Maybe he didn’t realize his photo was being taken every time he blew into it, but whether he knew or not, photographic evidence was easily obtained thanks to the interlock. An ignition interlock is a penalty, and most people just want to get through their program, drive sober, and move on with their lives. But if you look on the positive side, that interlock can teach you to drive sober and, if you lose your car due to theft, it can help identify the thief too. The biggest question people have about drinking and driving is, “How much is too much?” The answer to that question is simple: there is no safe amount of alcohol you can drink before you drive, and the Texas Department of Transportation would like you to be aware of that. The risk of your crashing or being arrested because of drunk driving in Texas can begin at very low levels of impairment. According to TDOT, every 20 minutes someone in Texas is injured or killed because of an alcohol-related drunk driving crash. Given the risk, why do people drink and drive? It might be because they don’t realize that one drink might be all it takes to impair your driving skills. Alcohol has the power to affect your vision, hand/eye coordination, and motor skills, and the effects begin as soon as you’ve had your first drink. What happens after that drink hits your bloodstream depends on a few factors including whether you’re male or female, what your body weight is, and your age. No every drink is created the same way either. Tall cans of beer look like one can, but they can include as many as three servings of beer. Cocktails you purchase in a club can have two or three different types of liquor, and some wines have more alcohol-content than others. Because of those differences, no one can tell you that it’s safe to drive after drinking one drink. 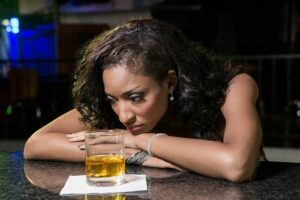 While one person will feel sober after one or two glasses of beer in an hour, another will be well on their way to impairment after drinking the same amount. That person could easily be arrested for drunk driving in Texas, all because they drank the same amount as another person. If you’d like to have a drink with dinner or you want to drive home after you’ve been out drinking, your best option is to find a sober driver. If you have to ask yourself, “How much is too much?” you shouldn’t be driving.